Winter can be a tough time. It's dark most of the day and even during daylight hours it can be tough since it's snowing and dreary out. Many people suffer from seasonal depression during this time of year or some can find themselves not being in that great of mood. 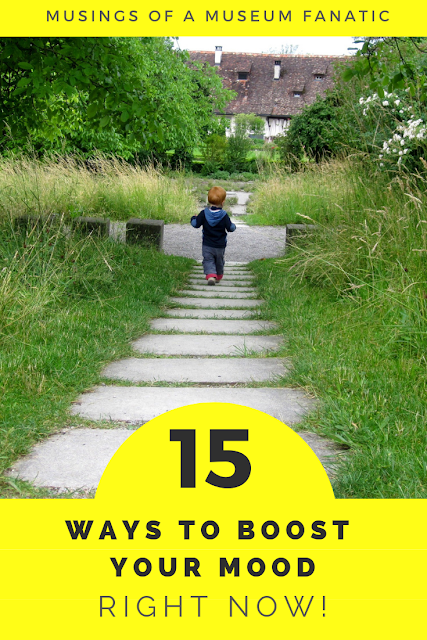 There are so many small things that you can do to give your mood a quick boost! Don't let the dreariness of winter get you out of sorts. These are just 15 of the things I do to boost my mood. What are some things that you do to boost your mood? Hug someone ... with their permission of course!